TSA Consulting has a wealth of experience of providing air display management at many different events around the world. These events range from small charity air displays to large scale military air shows at all types of airfields and along the coast. We were interviewed by Global Aviation Resource about our work past and present – Click here to read the article. Dave has been around “aviation” and air displays all of his life, being the son of an RAF pilot who also volunteered for IAT at Greenham Common. He started his own aviation career in Recruitment where he was an account manager for the UK’s largest crew leasing company responsible for several overseas contracts including a major simulator training project and a VVIP Royal Flight. Following a brief period travelling the world, he joined the full-time staff at the Royal International Air Tattoo, as the Aircraft Participation Manager responsible for attracting and supporting the hundreds of visiting aircraft and crew that attend the annual event. During this time he was involved in staging 5 RIATs where his involvement included flying and static participation, movements planning and charter flights, as well as developing an aircraft participation and movements database with a software company. 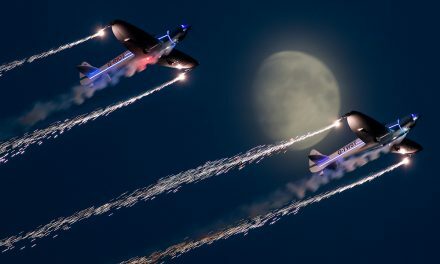 He also assisted with the planning, and subsequently became the Flying Display Director, for “Airbourne”, the Eastbourne International Airshow. Leaving RAFCTE in 2007 Dave joined Ray and Ian in forming TSA Consulting Ltd.
Ian’s love of air displays began at an early age growing up as he did near Biggin Hill, but it was during his 24 year career in the RAF specialising in Air Traffic Control that his involvement in airshow organisation really took off. His last command tour at RAF Brize Norton not only saw him shouldering the responsibility for the Approach Radar facility of the Royal International Air Tattoo (RIAT) which was staged at nearby RAF Fairford, but also led to his appointment as the Flying Display Manager for the event. On retirement from the RAF Ian joined the full-time staff organizing the RIAT where his wide ranging responsibilities encompassed the Emergency Services, Security and Contingency planning for the event; concurrently he was the Flying Display Director for 2 of the large seafront airshows staged annually in the UK. After 4 years he left the permanent staff and became a freelance Display Director and Aviation Consultant. In his new guise, business grew and led to forming a partnership with Ray (Thilthorpe – Sheeley Associates), and ultimately with Dave, as TSA Consulting Ltd was formed. 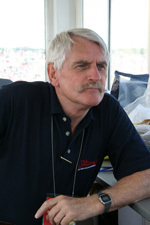 He did continue his association with RIAT for several more years as one of the volunteer group managers. However, after 14 years, he has now left the RIAT team to focus on his other activities. Roger Beazley served in the RAF initially flying fighter type aircraft and for two years was the RAF’s display pilot flying the Phantom F4. 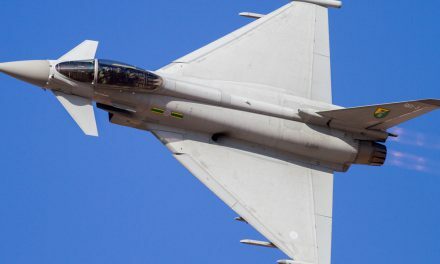 He later qualified as an experimental test pilot and his final service appointments included Head of Experimental Flying at RAE Farnborough and Director of Flying [Research & Development] within the UK Ministry of Defence. 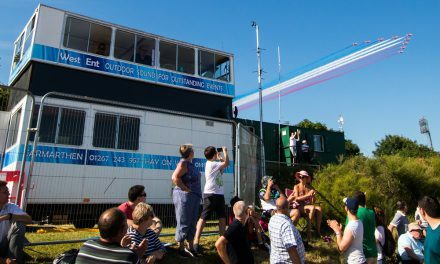 Including 12 years as Display Director at the Farnborough International Airshow, he has now been involved in the flying supervision of air displays for more than 25 years. He has acted in advisory capacities both at the Dubai International Airshow and Asian Aerospace in Singapore. 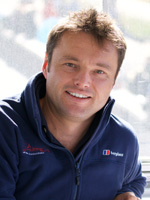 He currently supports airshows at a number of venues both in the UK and overseas and has been associated with TSA Consulting Ltd since its formation. He is a Fellow of the Royal Aeronautical Society, a Fellow of the Society of Experimental Test Pilots in the US and an Honorary Member of the Flight Test Society of Australia. He was decorated with the AFC in 1978 and was appointed CBE in 1996. He continues to fly light aircraft and has close on 7,000 hours as a pilot in some 150 aircraft variants. Geoff served in the Royal Air Force as a fast-jet pilot, primarily on Lightning and Phantom aircraft. He was the last Station Commander at RAF Wildenrath and also served as the UK’s Senior Military representative in Oman. Geoff was the Lightning display pilot at the International Air Tattoo in the 1970’s before joining the IAT volunteer team as Flying Display Manager. 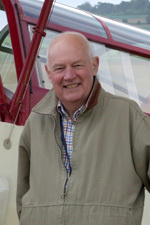 Since then he has served on the Flying Control Committee and as Flying Display Director at RIAT and on the FCC at numerous other airshows including Sunderland, Eastbourne, Duxford, East Fortune and Al Ain. Gary is an operational ATCO based on the island of Guernsey. He has nearly 30 years experience in the ATC environment (working for NATS at West Drayton and Aberdeen before his move to the Channel Islands in 1992). He has 20 years experience in the world of air display controlling, both at the Guernsey Air Display and, since 1998, RIAT where he is currently the Deputy SATCO. 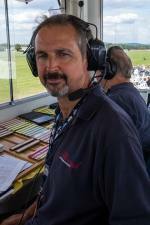 In 2014 Gary joined the TSA team to provide Air/Ground at “Airbourne”. 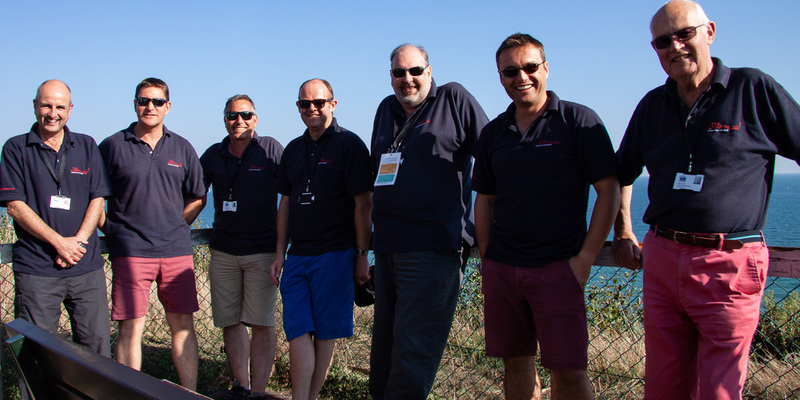 Additionally, Gary is heavily involved in numerous aviation events in Guernsey and Alderney, and also carrys out work on behalf of BADA, researching and collating their annual review of the Air Display Industry. Paul served in the Royal Air Force as a helicopter pilot, predominantly flying the Chinook. During ten years flying this type he qualified as an A2 Qualified Helicopter Instructor and served as the Chinook Force Standards officer as well as the Training Officer for the Operational Conversion Unit. Paul displayed the Chinook during the 2012 and 2013 seasons. He then went on to instruct and supervise the Chinook display team during the 2014 season. He was awarded a Chief of the Air Staffs Commendation for his work on the Chinook display and Chinook force over this period. He is currently working as a Search and Rescue pilot for UK SAR and spends as much time as possible flying various fixed wing types. Dave ‘Kirbs’ Kirby is a serving pilot in the Royal Air Force. Dave started his career as a Tornado GR1 navigator. After a tour in Germany and an instructional tour in Scotland he was selected for pilot training. On completion of his training Dave was posted to the C130J Hercules. He flew for 3 seasons dropping the RAF Falcons parachute display team and also flew a season on the C130 display and a further season as the C130 Captain on the RAF role demo. Dave is currently a Tucano qualified flying instructor. 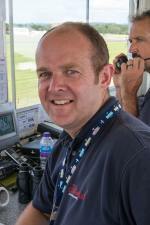 He was the Tucano display manager in 2013, during which he supervised and commentated at various airshows nationwide. He became the Tucano display pilot in 2014 and flew over 60 public displays all over the UK and overseas in Malta and Madrid. Steve has been an ATCO for 40 years and a former Manager ATC at Luton Airport. He became involved with special events 20 years ago with the Clophill Village Fete, Dog Show and Air Display. He was then asked to join the de Havilland Moth Club and help organise the International Moth Rally and subsequently other Moth Club events, often setting up airfields at non-airfield sites. 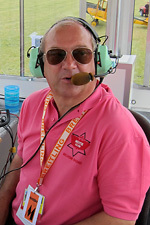 About this time, Steve also became a FISO at Old Warden and provides FIS at all Shuttleworth events. He became a RIAT volunteer 15 years ago and is currently the RIAT Balloon Master. Steve now helps with the planning, aircraft booking, writing safety documentation and providing ‘robust’ FIS or air/ground services at some 20 events a year.